I just saw a drawing posted today on the blog coolcookstyle for samples of teas and SSS Cocoa Sandalwood courtesy of baconbiscuit and Brie. You might go enter, and if you are a cook, you might enjoy poking around the coolcookstyle blog for inspiring ideas. I’m hoping to put samples back up on the site Friday/Sat and bottles after that. I’m still catching up on lots of things and not quite ready to put the cart up, but I’m getting closer. My back is improving but is not ready yet. It feels like spring here with sunny weather and the first daffodils blooming — always makes me happy to see the first signs of spring. A couple days ago there was a review of Tabac Aurea on Chemist in The Bottle. Thanks, Lucas! 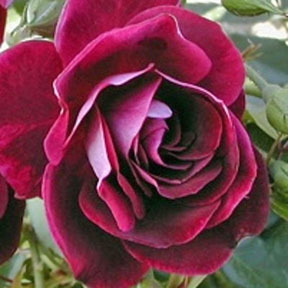 And today on The French Exit, Elisa included Rose Volupté in her list of top 12 roses. I see a number of my favorites on her list! Some favorite rose scents of mine include Gucci’s L’Arte di Gucci (sadly discontinued), Francis Kurkdjian’s Lumiere Noire Pour Femme, Annick Goutal’s Rose Absolue, Creed’s Fleur de The Rose Bulgare, Mandy Aftel’s Wild Roses, Caron Parfum Sacré, Guerlain’s Nahema and Parure, and L’Artisan’s Drôle de Rose (am sure I’ll think of many more as soon as I hit submit!). A beautiful review of Winter Woods was posted today on Chemist In The Bottle. Thanks so much, Lucas! I’m still working my way through the backlog of things that need to be done around here. I finished updating the inventory sheets and am doing some reorganization in the lab. I’m giving my back lots of down time and it’s coming around, but slowly. I have a medical appointment next Tuesday the 19th and will wait until after that to put the cart up, but I’m still not sure when. Don’t feel shy to email me if you need something in the meantime though. Gaia posted a lovely review of Cocoa Sandalwood today on The Non-Blonde. A number of people have commented to me that they find it to be a more sophisticated gourmand, yummy but not as literally edible as many chocolate scents. That is what I had hoped to create, so it’s good to hear it works that way, at least for some people. I’m working on all the little things that have needed doing for weeks, as well as taxes. It’s good to start to catch up. I wanted to check in and give an update. I’m making good progress on taxes (yuck!) and resting my back. I don’t have a date yet for putting the cart back up but will let you know when I do. In the meantime, I am happy to fill any orders you may need for gift purposes. I’ve sent a few Valentine’s Day orders out. I posted about the Indie Fifi awards process a week and a half ago to explain how it works. Today fellow indie perfumer Ellen Covey of Olympic Orchids Perfumes also discusses the Indie Fifi award process on her blog called Perfume Project West. I’ve not forgotten about having a little 9 year anniversary celebration (Feb is the month). I’ll see if we can do something before the month is out; if I get some Spiced Citrus Vetiver made we could hold a draw for samples of that and Cocoa Sandalwood.